Arsenal ace playmaker Mesut Ozil is super confident of securing a move to Manchester United next summer, and has reportedly told his friends that Jose Mourinho would definitely come to rescue him from the Emirates. Ozil joined the Gunners in 2013 for a then club record fee of £42.5 million from La Liga giants Real Madrid. The shock move was thought to be a master stroke at the time by Arsenal manager, Arsene Wenger, but to the Frenchman’s tough luck, the German star couldn’t cope up with the physicality of the Premier League. As a result, the former Real Madrid man was forced to the bench, and now, as per Daily Mail, Ozil is likely to exit the Emirates outfit by the end of this season. The 29-year-old has set his eyes on a move to Gunners’ rivals, Manchester United, in a bid to resurrect his career under the management of Jose Mourinho. It was reported that the Germany international has already told his friends that a move to Old Trafford is a done deal, and it’s just a matter of time before he officially signs for the Red Devils. The ace midfielder holds high regard for Mourinho, with whom he worked at Real Madrid, and so does the Portuguese, who rates the 2014 World Cup winner as ‘one of the best creative midfielders on the planet’. 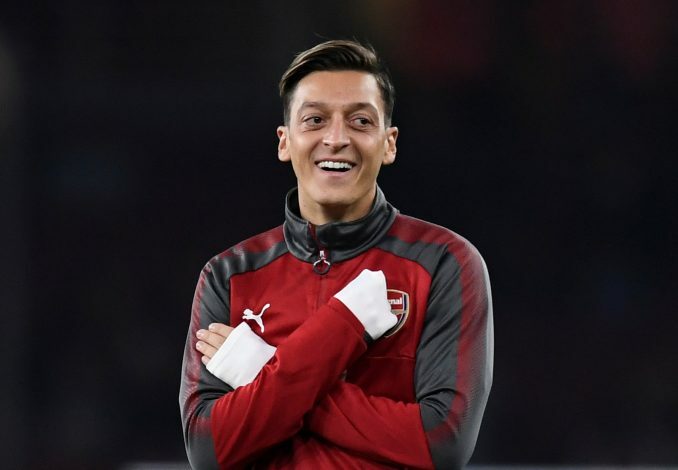 However, Wenger is expected to force a move for Ozil once the transfer window re-opens in January, in order to cash in on him before the German becomes a free agent next summer. The 29-year-old’s current contract is set to expire at the end of the current campaign, and while there were talks about a £275,000-a-week contract last season, no serious negotiations have been reported this year. Even though no major enquiries have been made about the midfielder other than that of Inter’s, Wenger is said to be confident of finding a suitable buyer for Ozil before his contract expires. But with the the player’s heart set to make a move to Old Trafford, the playmaker is likely to resist any other move in the winter transfer window.